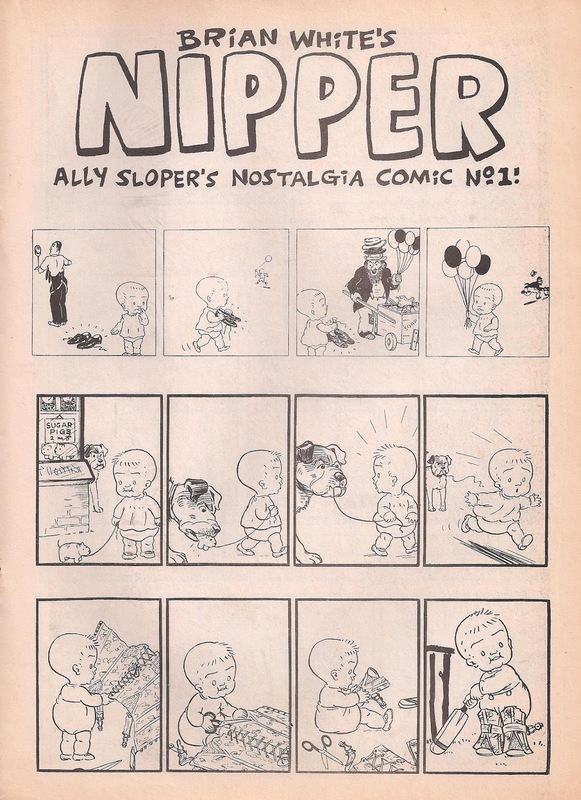 Ally Sloper was Britain's ( and maybe the world's, opinions differ ) first recurring comic character, originally appearing in print in 1867. 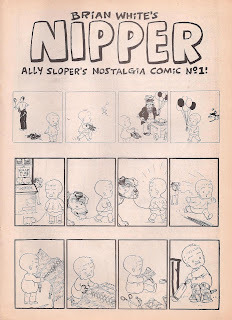 He got his name from his practice of sloping off down the nearest alleyway whenever the local debt collector came calling. 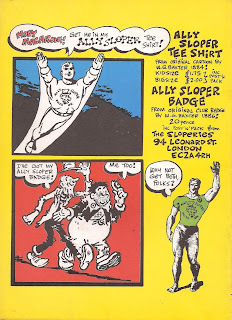 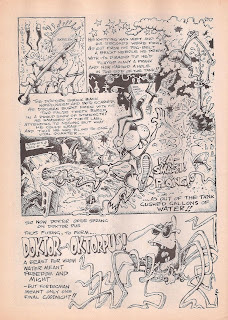 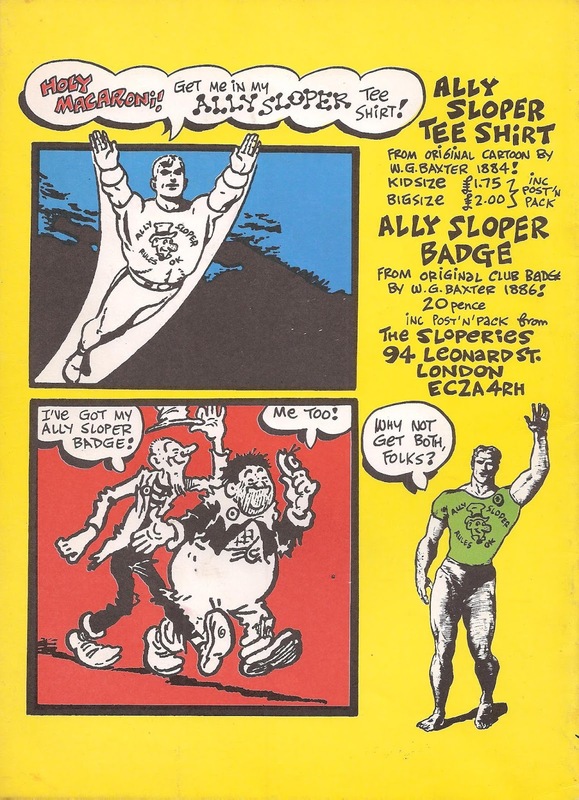 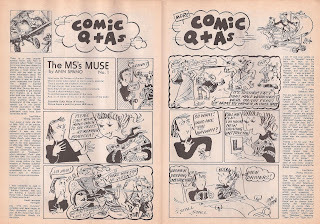 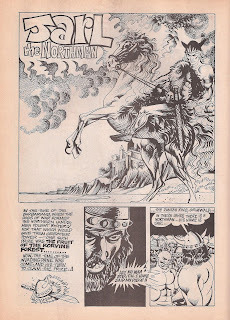 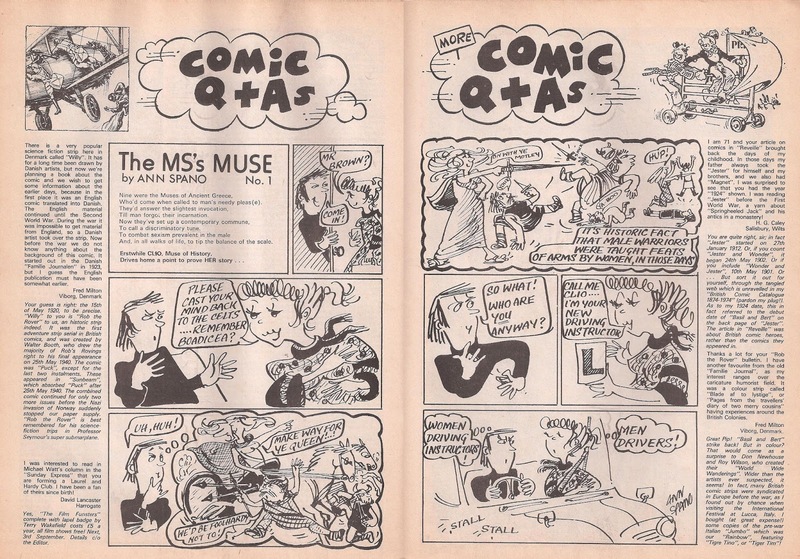 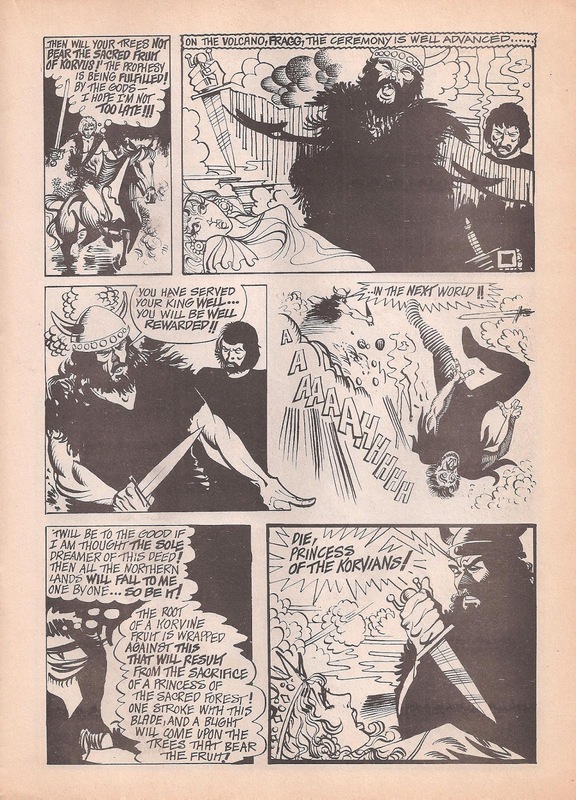 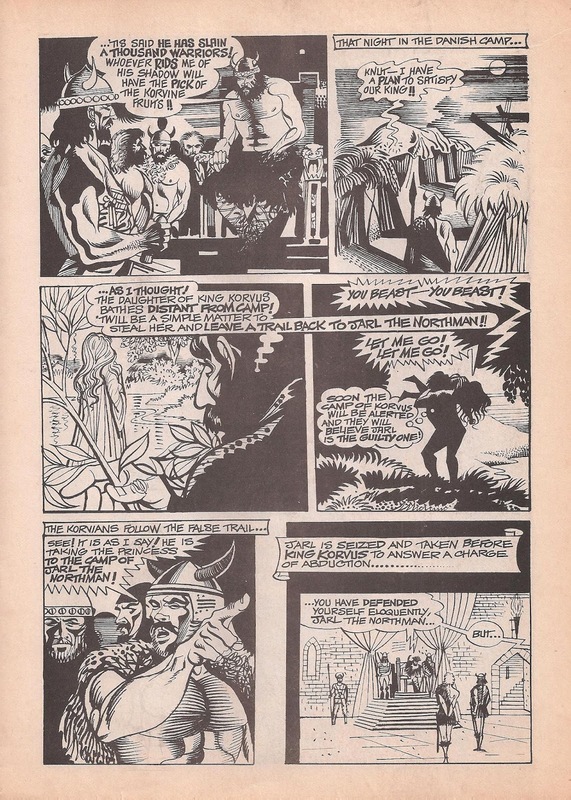 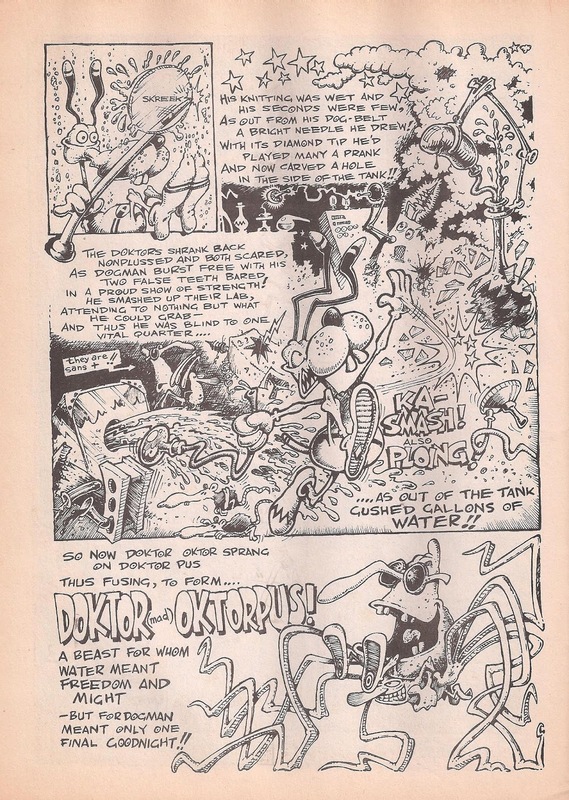 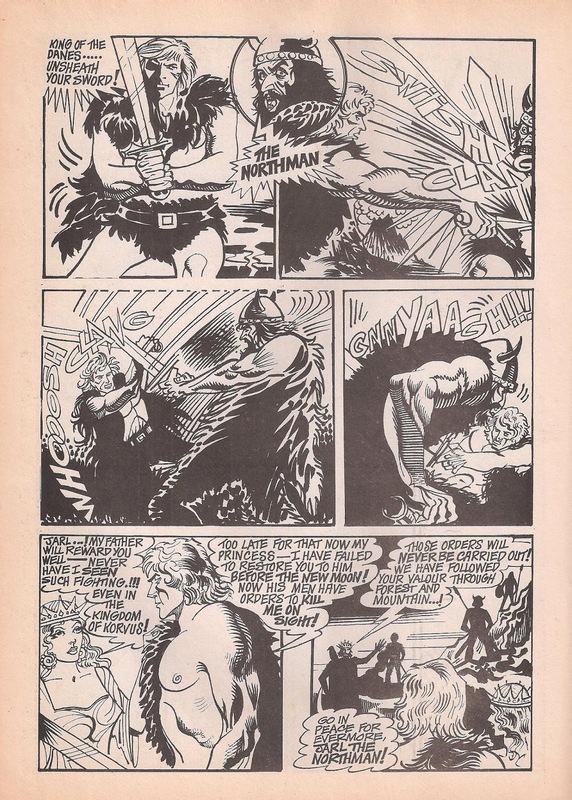 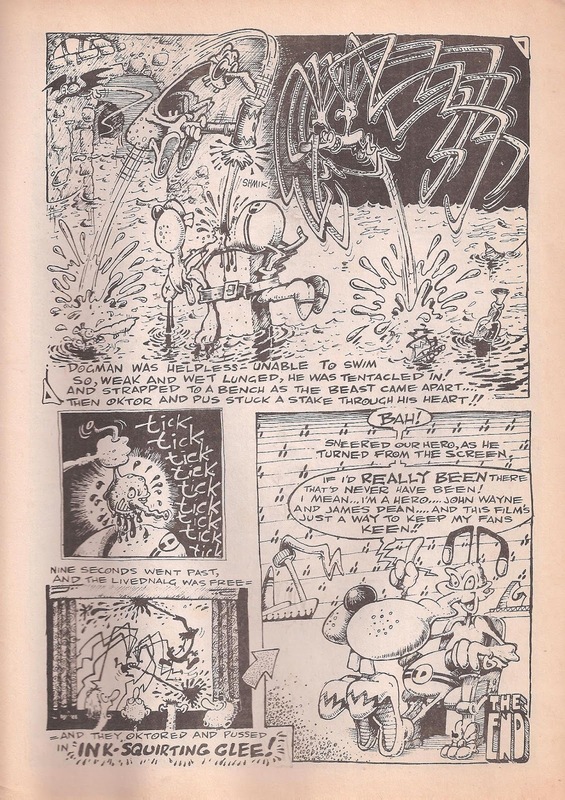 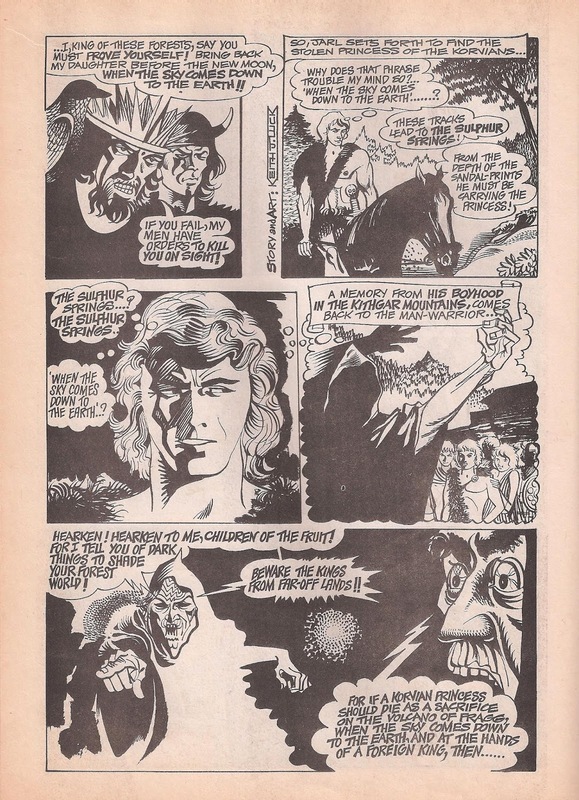 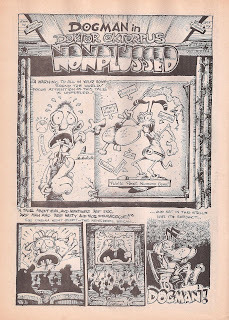 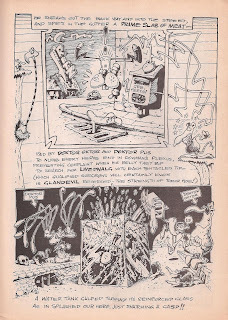 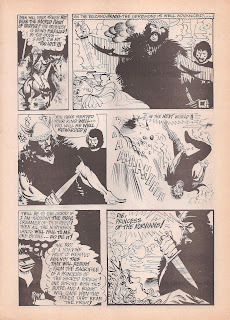 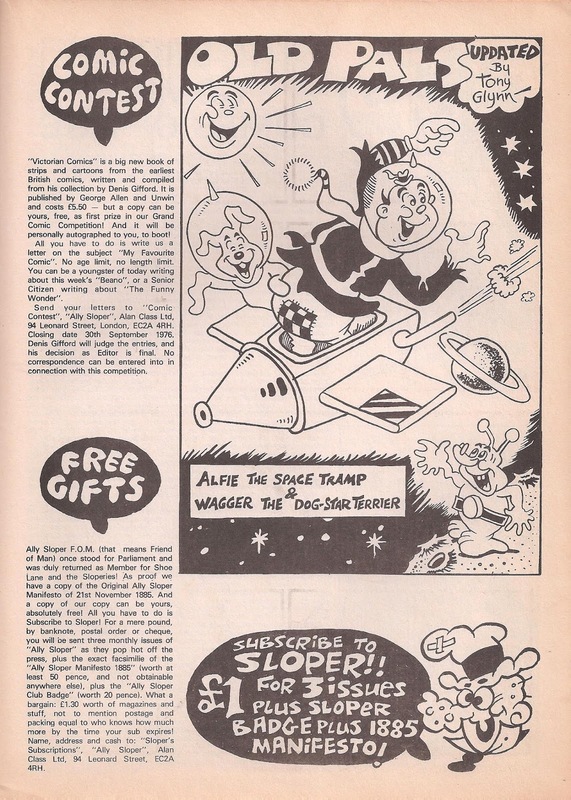 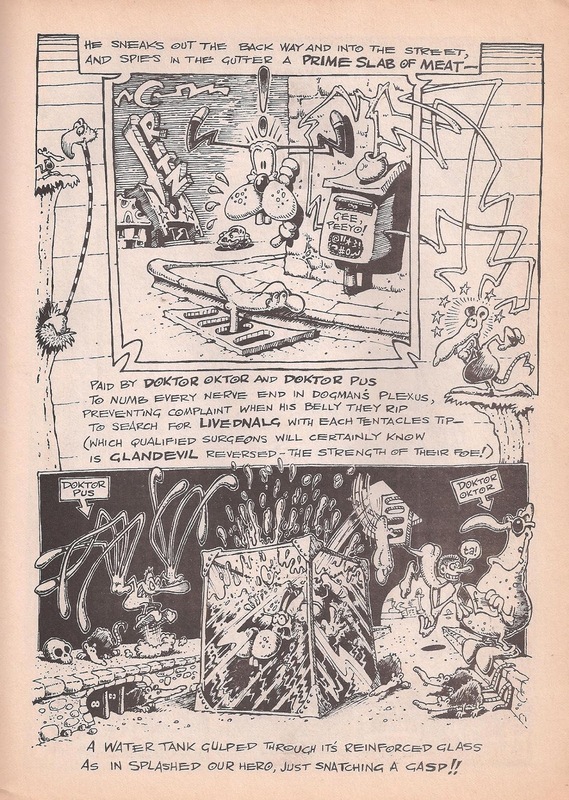 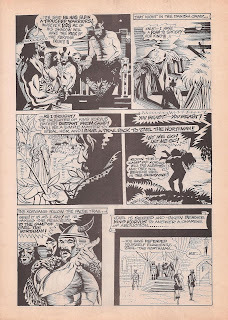 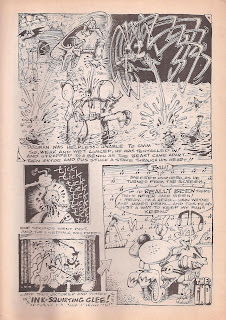 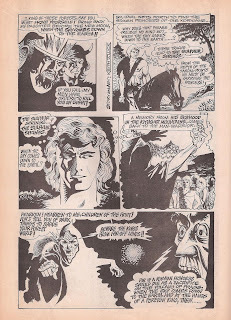 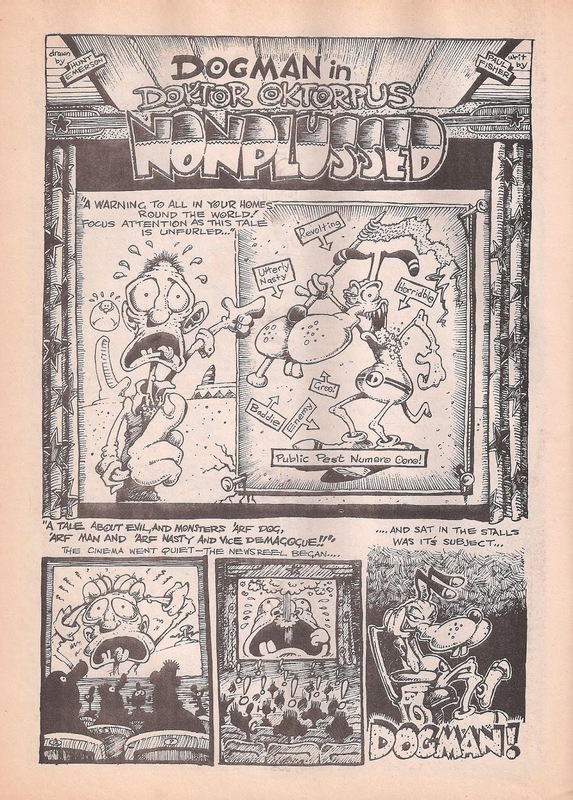 In 1976, comics historian Denis Gifford and publisher Alan Class resurrected Ally in this bizarre hybrid of fanzine, underground and mainstream comic that suddenly appeared, unannounced, on comic stands throughout the UK ( in the summer holidays if memory serves ). 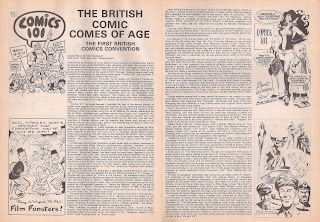 Like everyone, I bought it 'cos it was a new comic, and like everyone I didn't know quite what to make of it. 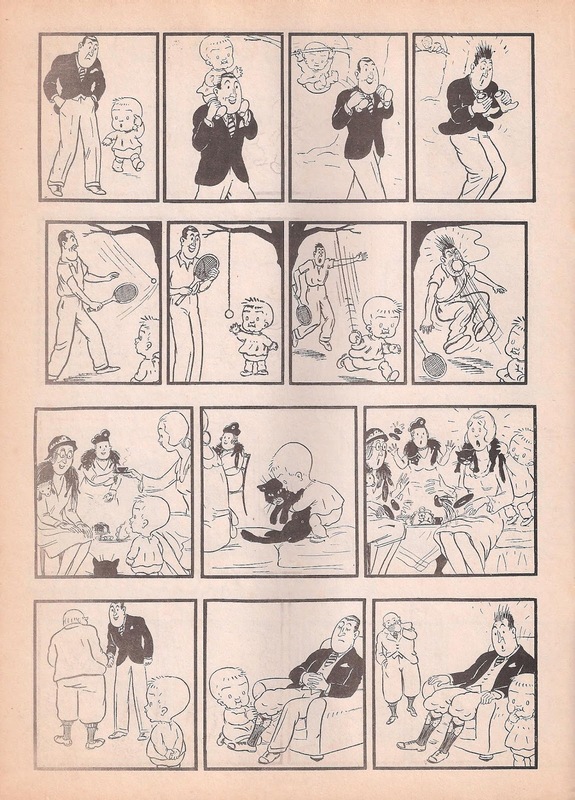 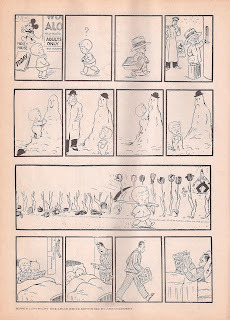 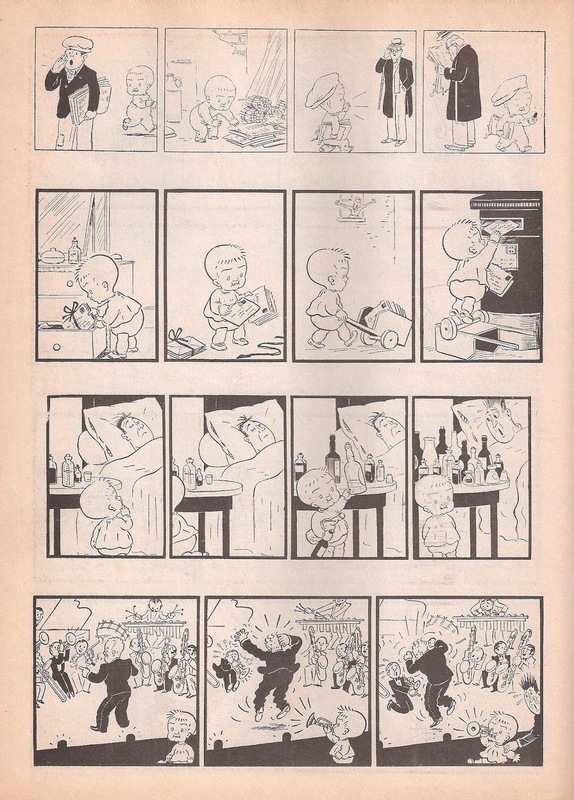 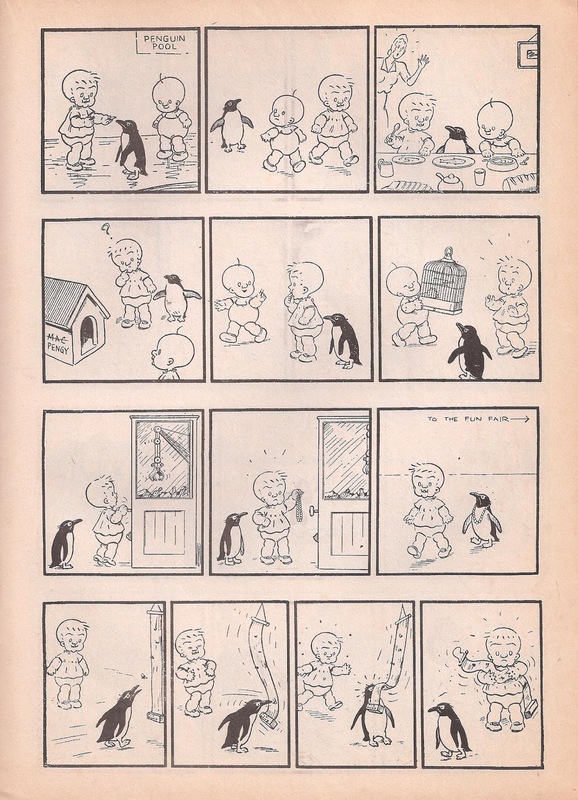 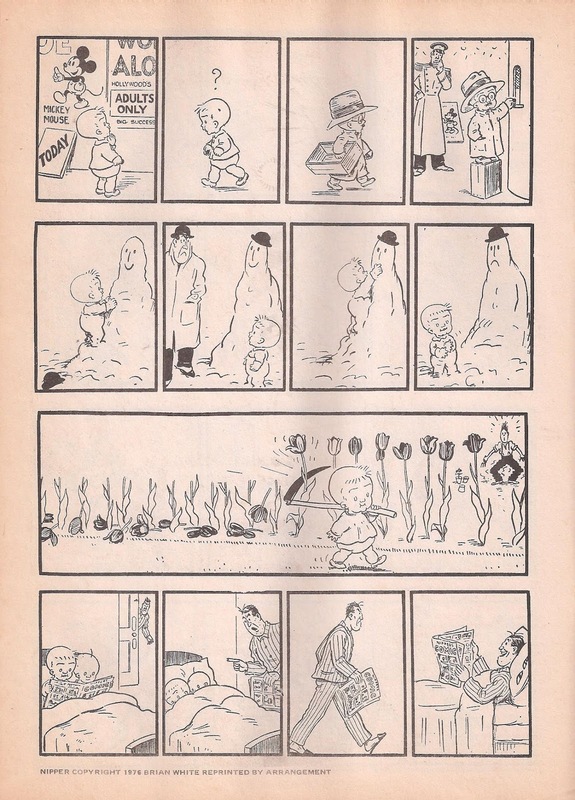 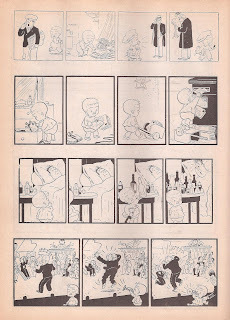 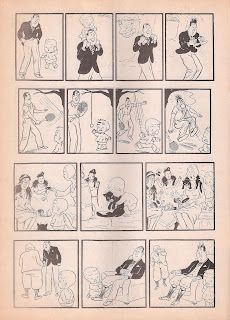 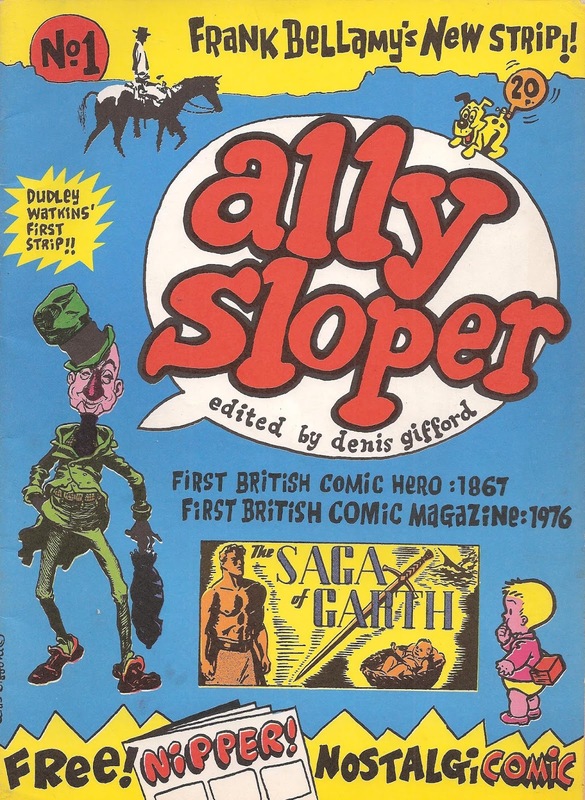 Gifford had the greatest collection of British comics anyone's ever had, and often appeared on TV discussing them, almost singlehandedly trying to bring an air of respectability to the form. 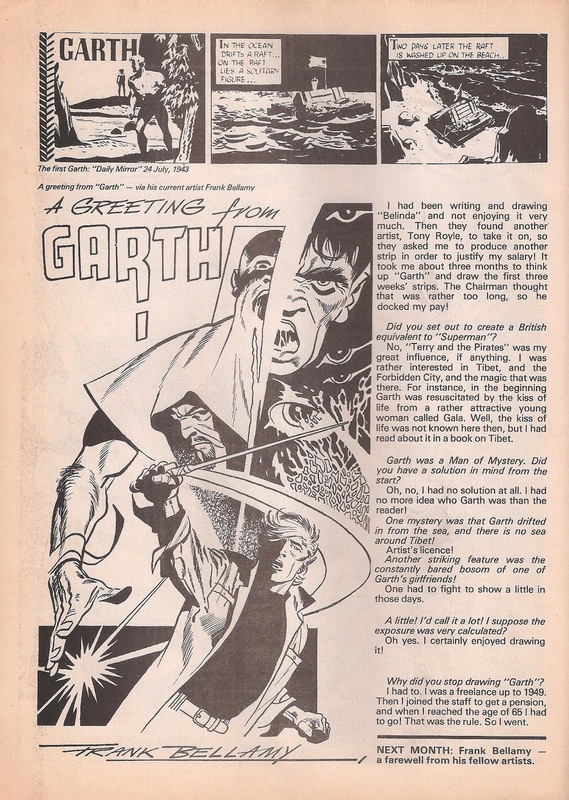 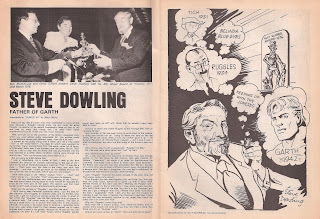 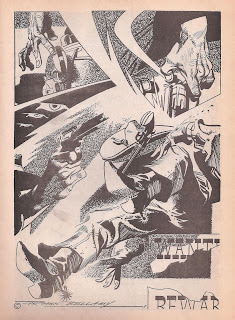 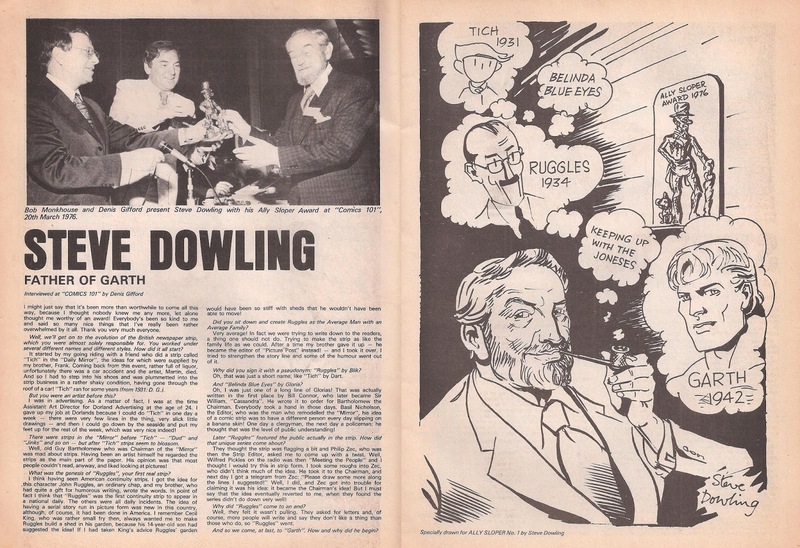 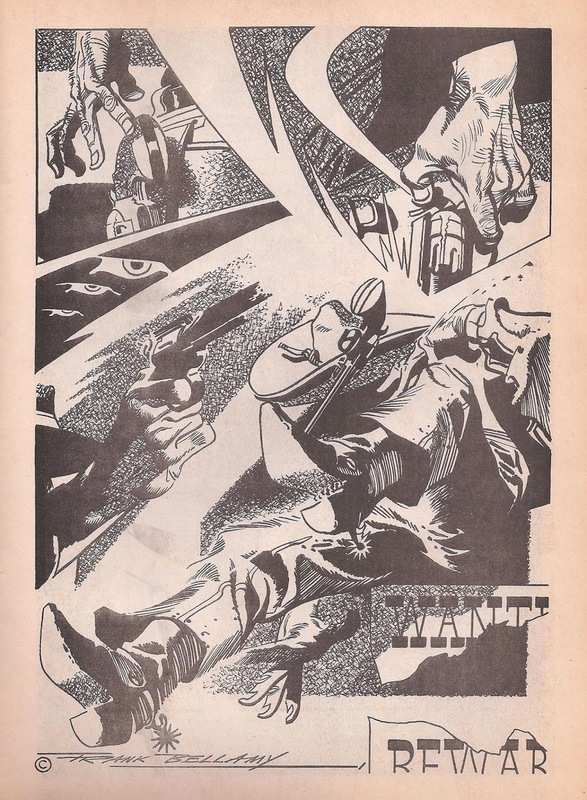 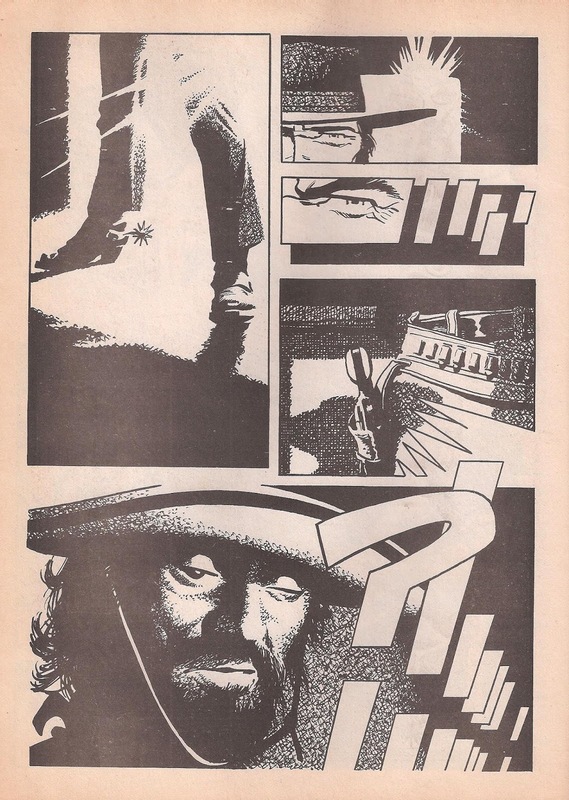 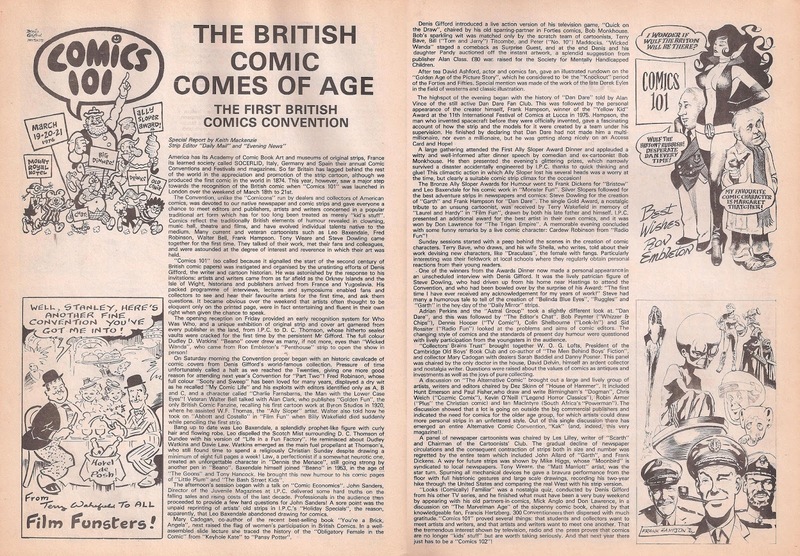 If he had a blind spot, it was that he liked really old British kids comics, and he didn't really like the edgier, slightly more adult ones, like Action or 2000AD, so was much more keen on talking about ( and reprinting ) the comics of his youth. 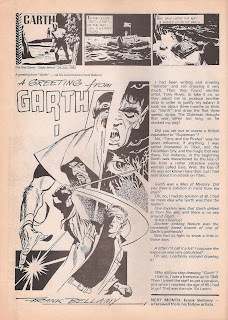 Which, as a Merry Marvelite / groovy '70's kid, I couldn't've cared less about at the time. 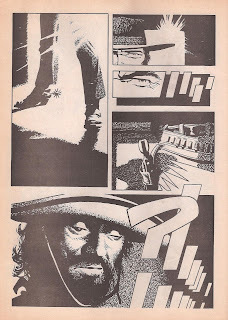 What it felt like then was: What IS this thing? 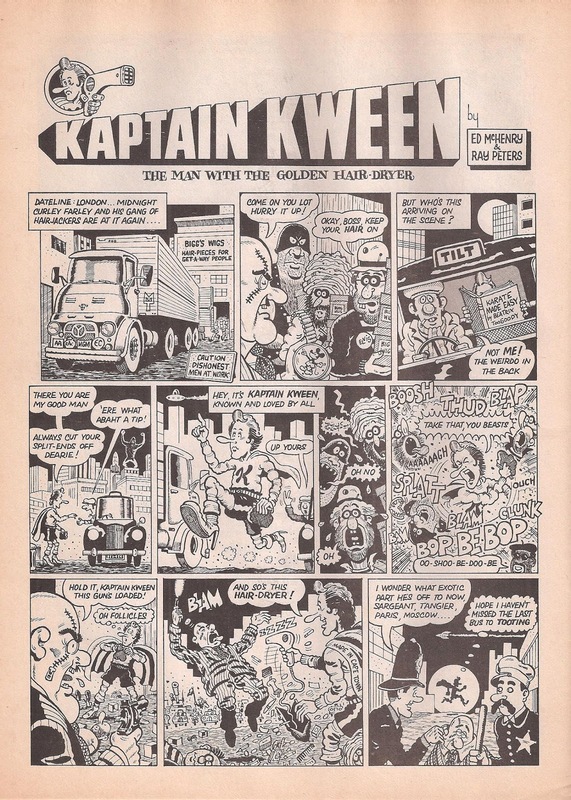 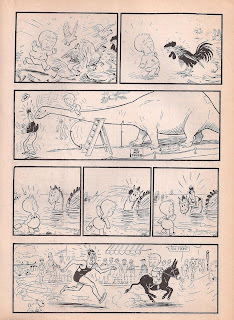 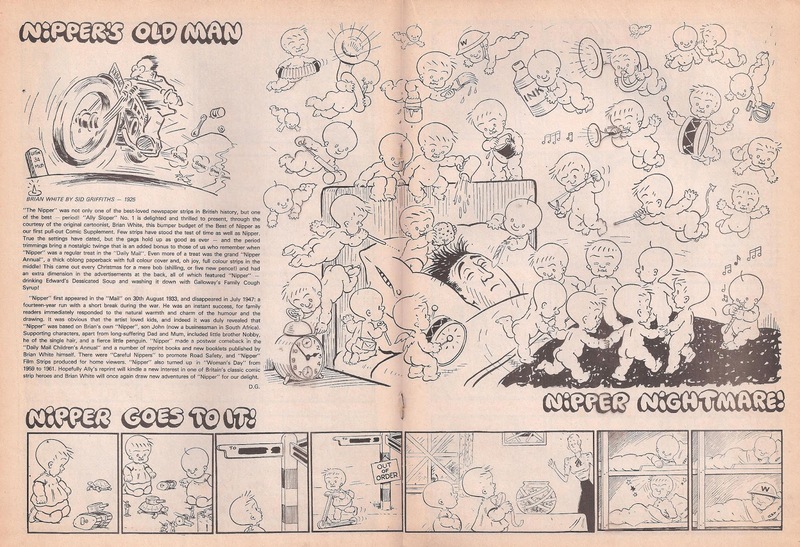 Well it was, throughout it's four issues, Frank Bellamy's last strip, Frank Hampson's new one, Hunt Emerson, Kevin O'Neill, Leo Baxendale, Raymond Briggs and on and on, a real treasure trove in fact. 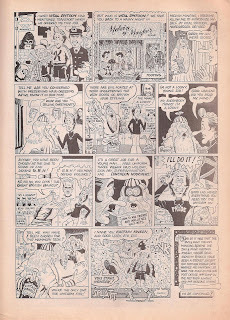 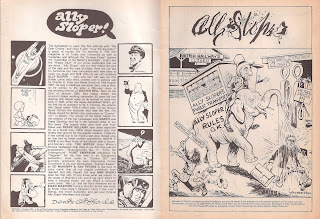 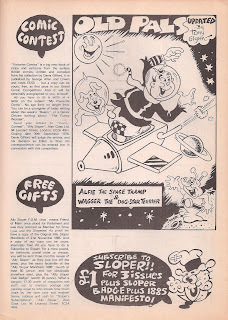 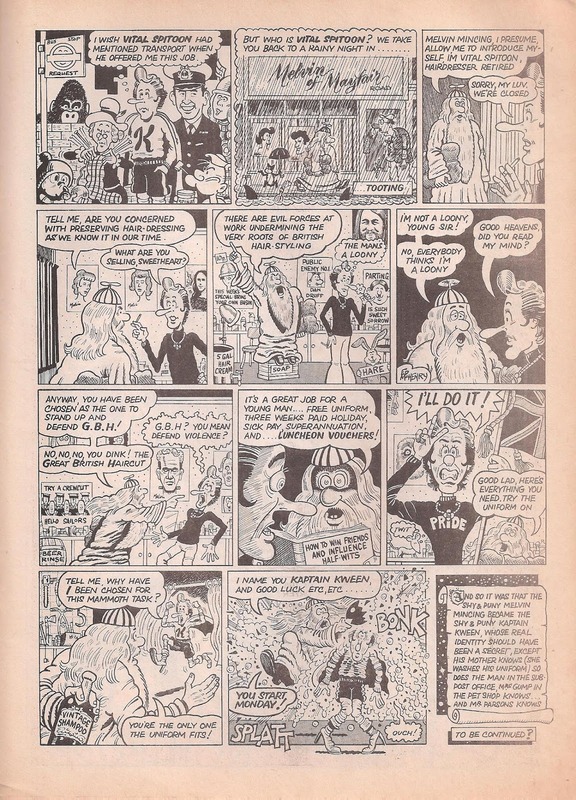 Such a personal, and eclectic, comic as Ally Sloper never stood much of a chance on the newstands of '70's Britain, even with the mighty Alan Class getting it in every seaside newsagents in the land, but you have to give Gifford credit for being, in some ways, years ahead of everybody else. 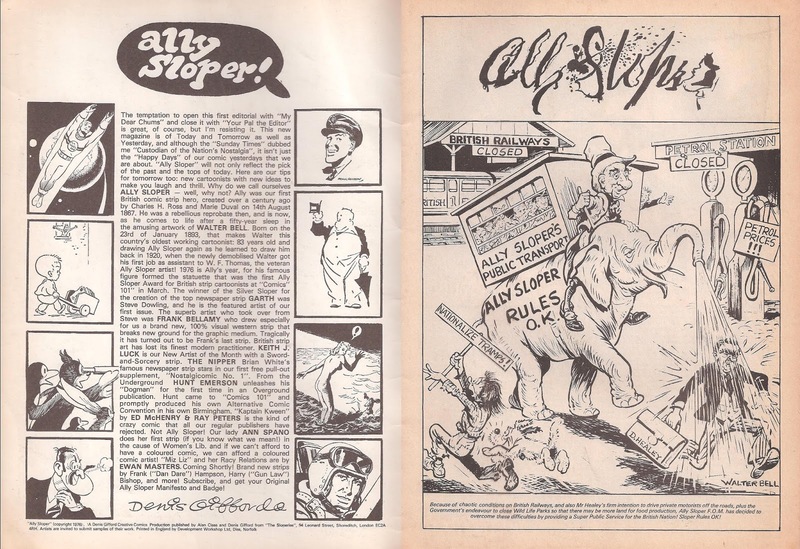 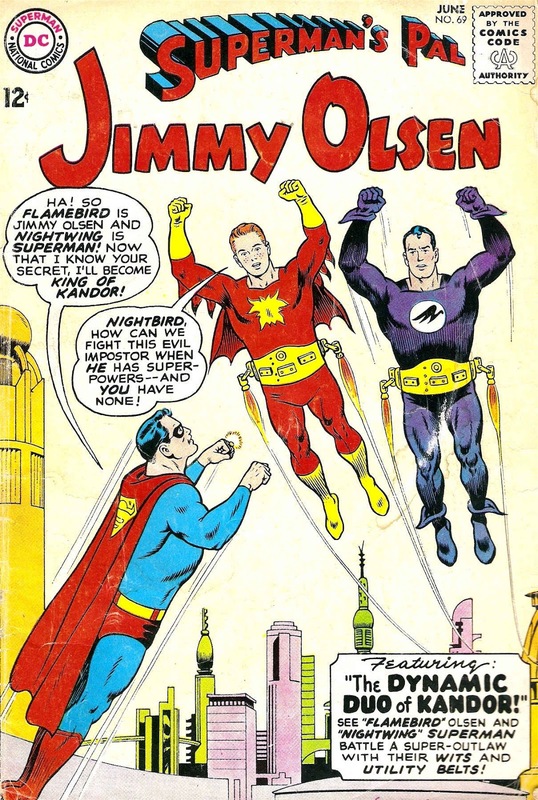 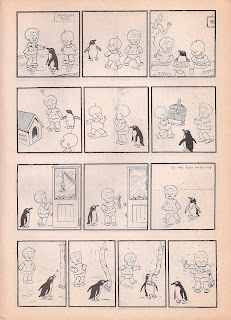 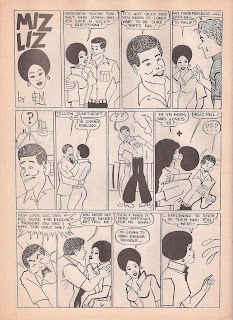 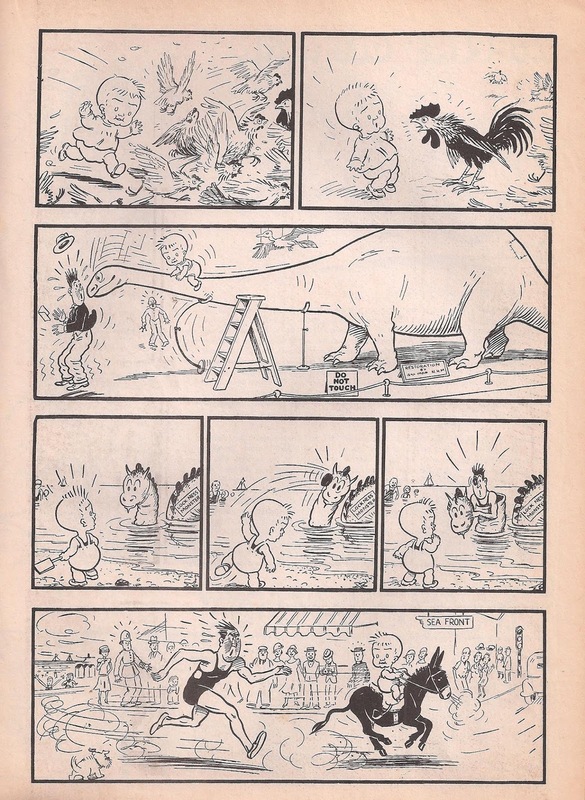 Here's the complete first issue. 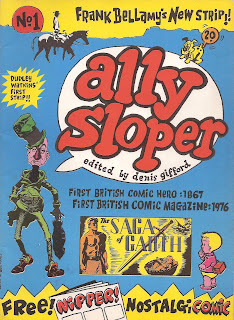 And here's a brief snippet of Denis surrounded by his collection. 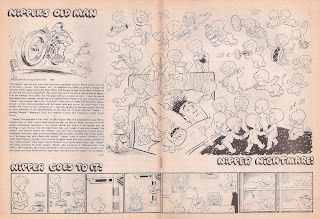 Looking at that kitchen, I can't help feeling that these days, they'd probably call him a hoarder and get social services involved. 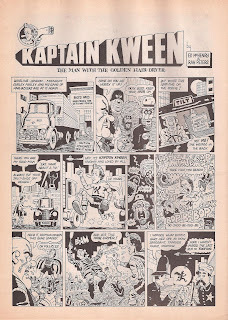 So I'm twittering now, gang - why not join me? 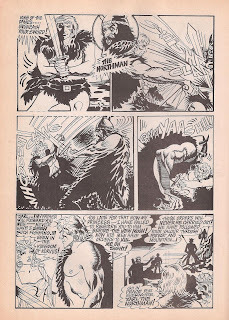 I'll be putting up even more Bronze Age nonsense on a regular basis, so hit the link at the top of the page, ok? 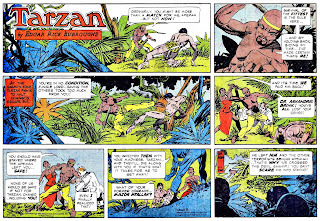 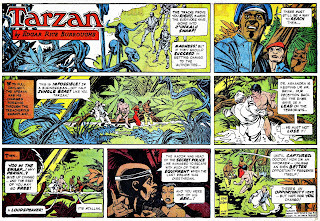 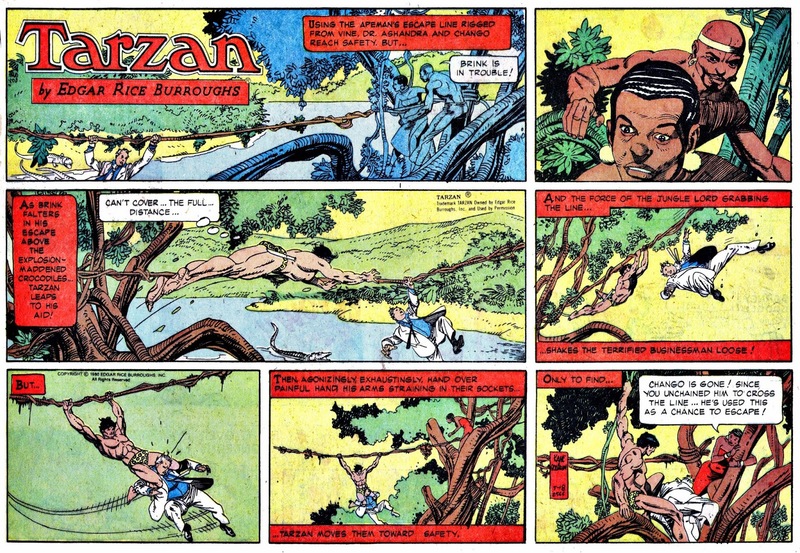 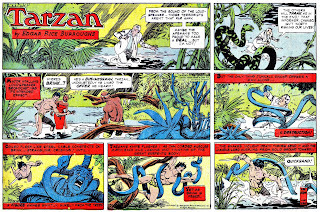 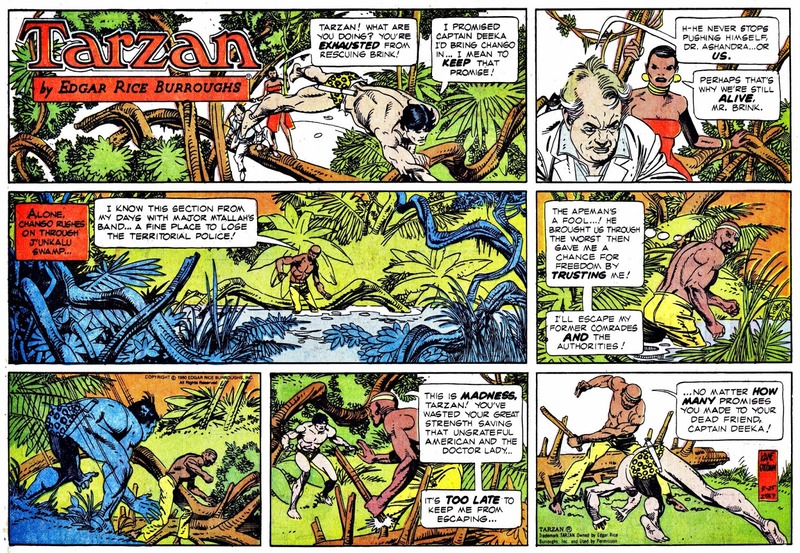 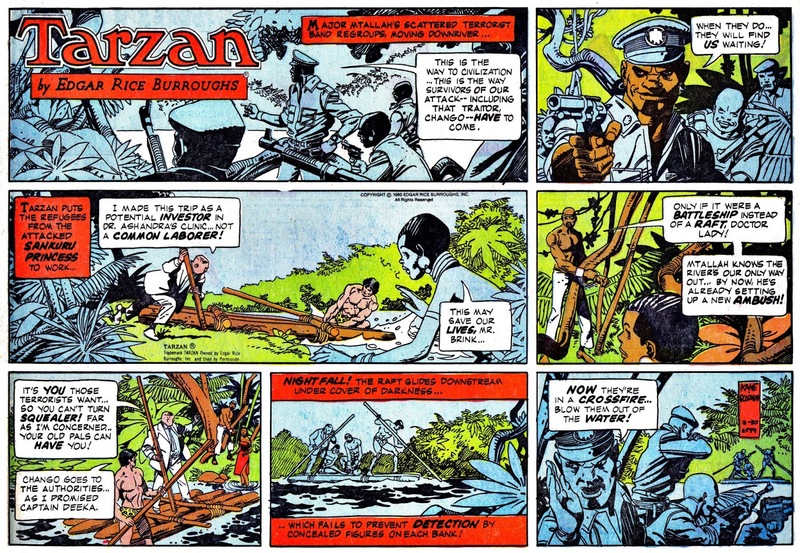 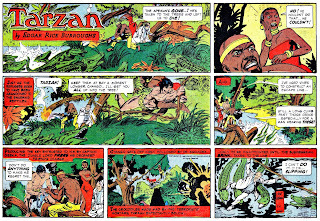 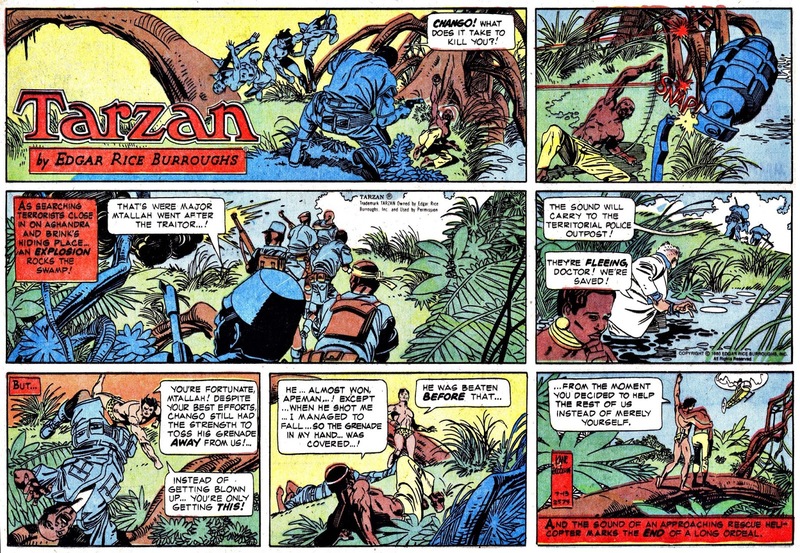 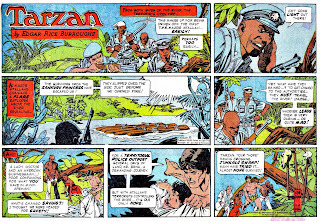 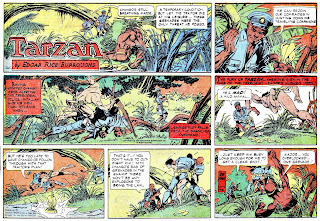 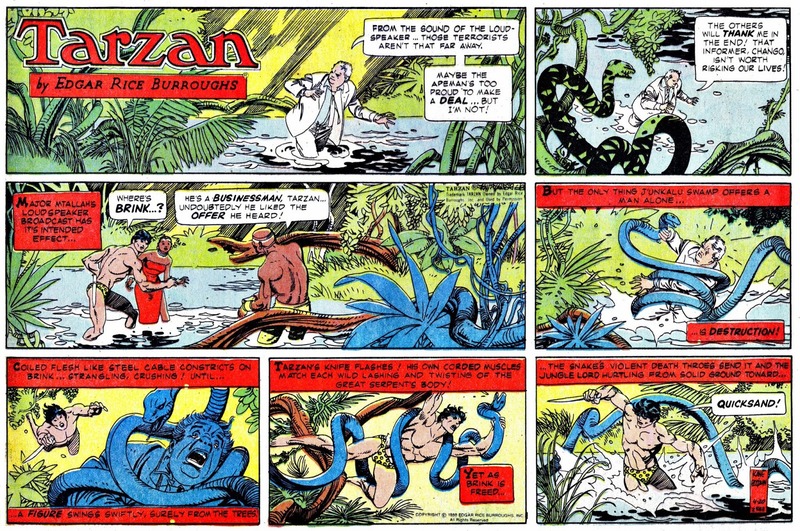 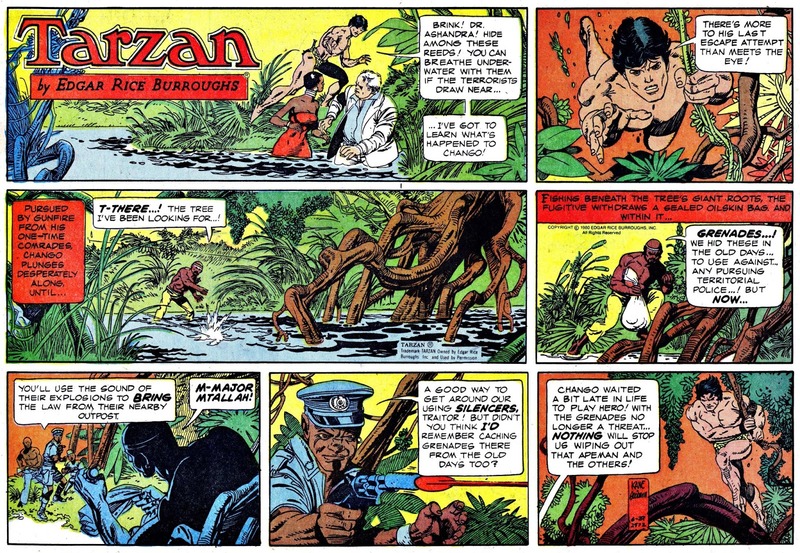 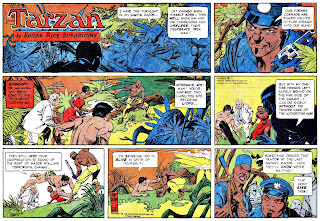 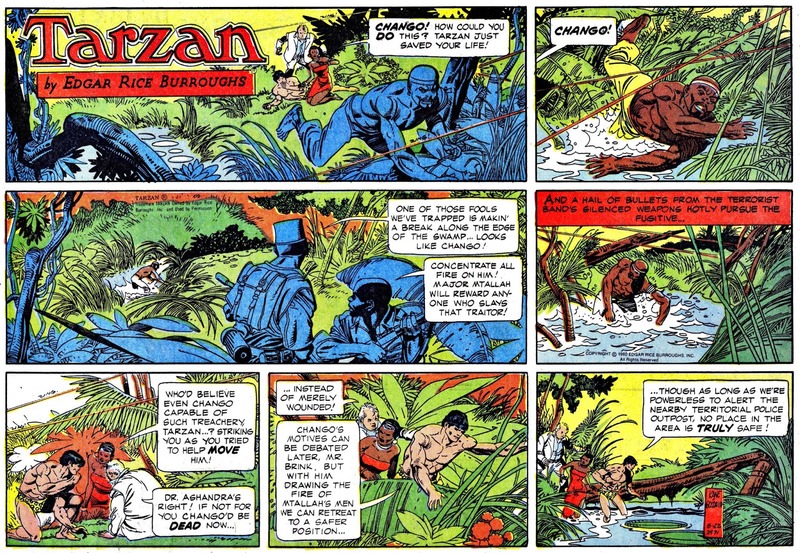 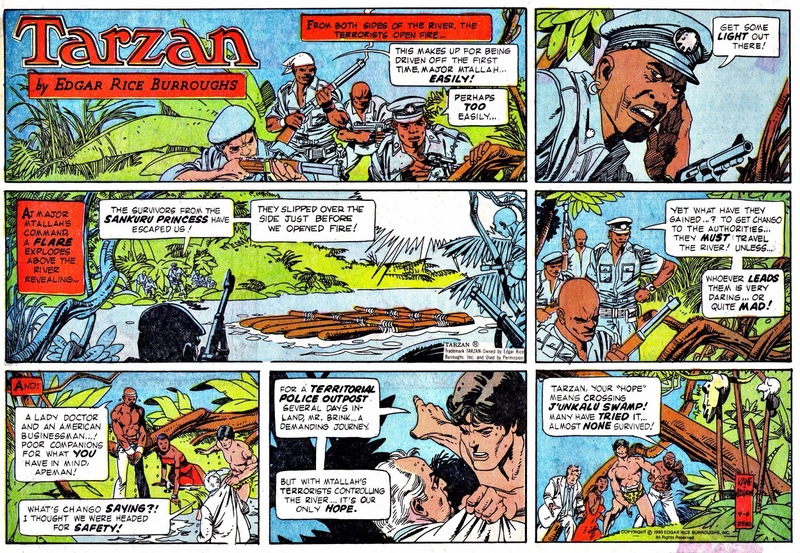 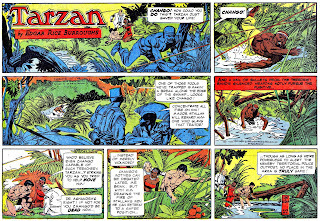 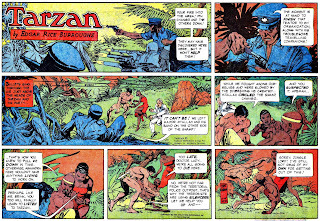 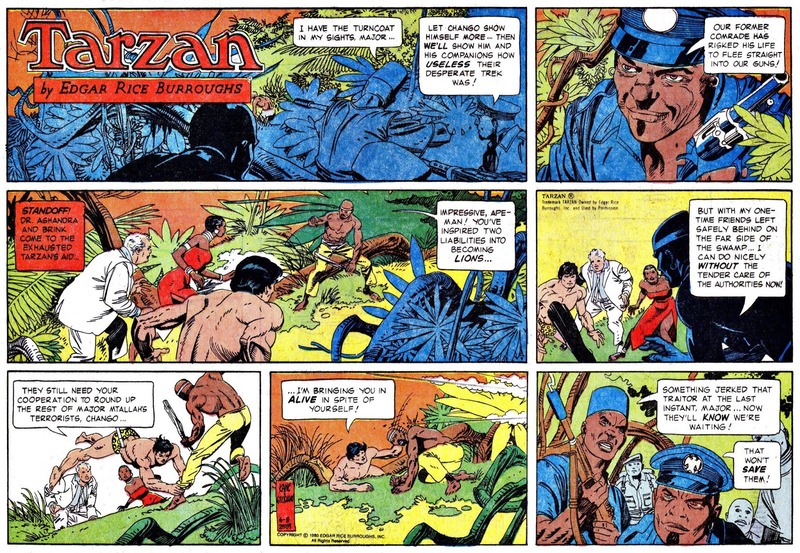 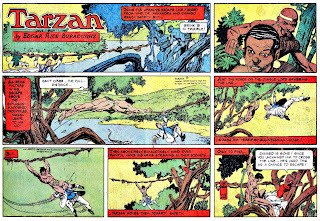 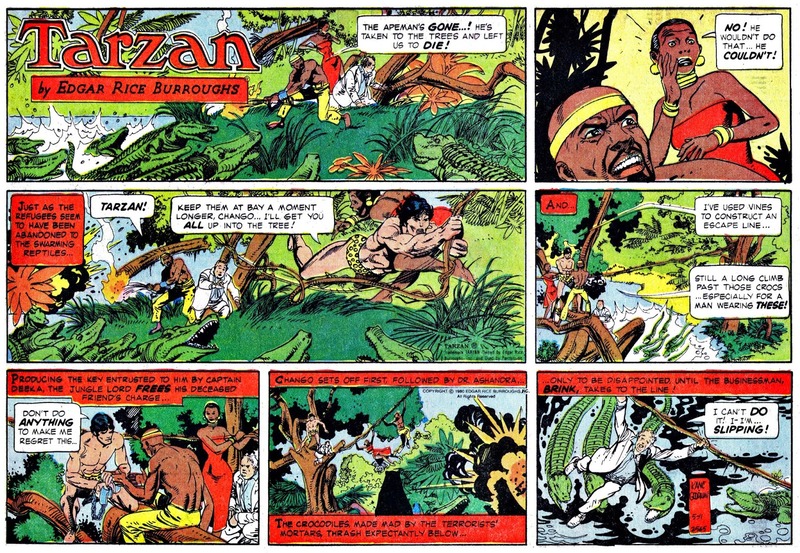 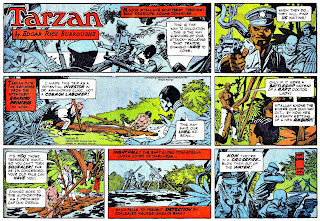 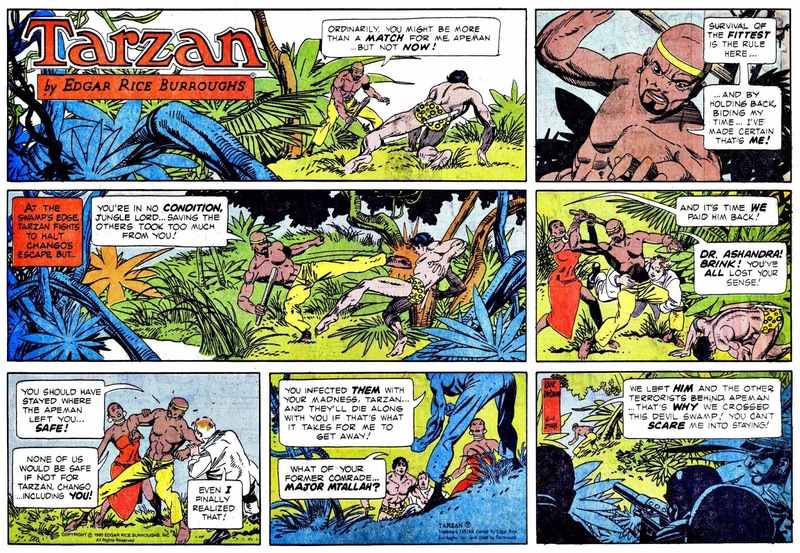 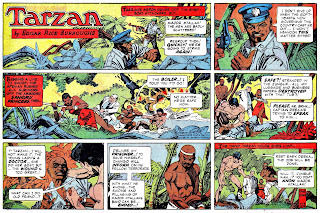 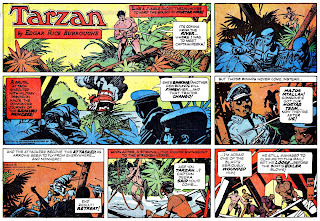 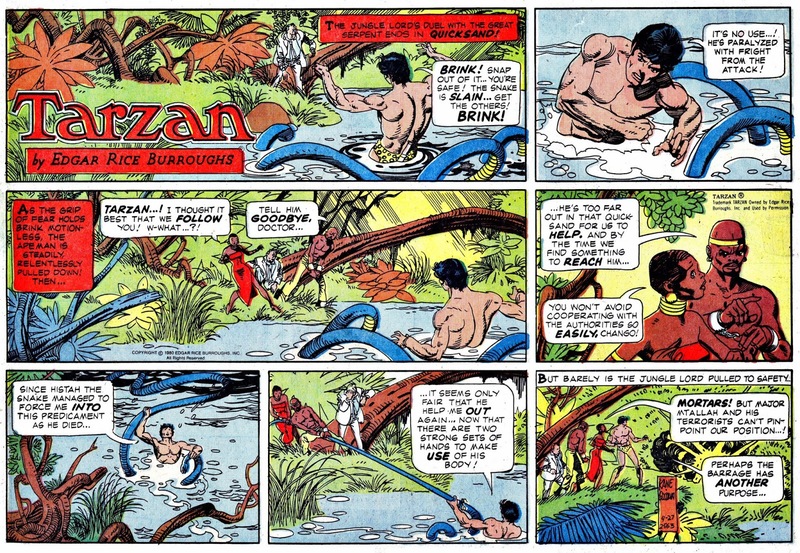 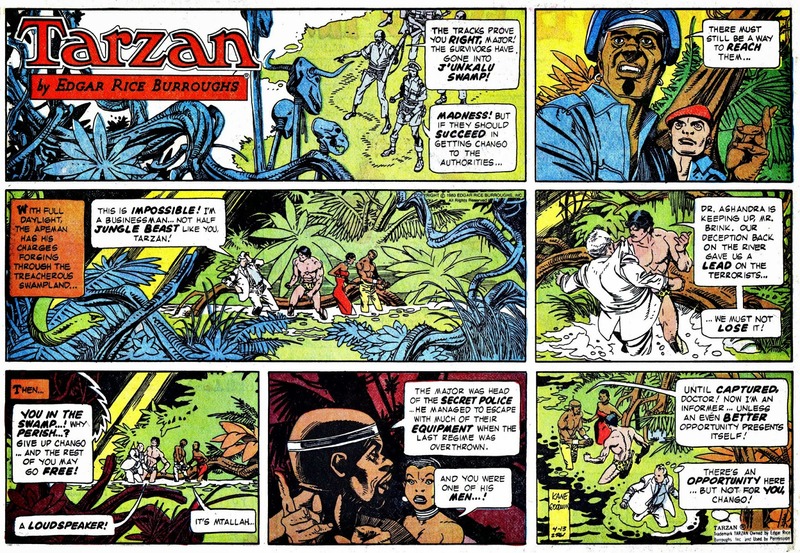 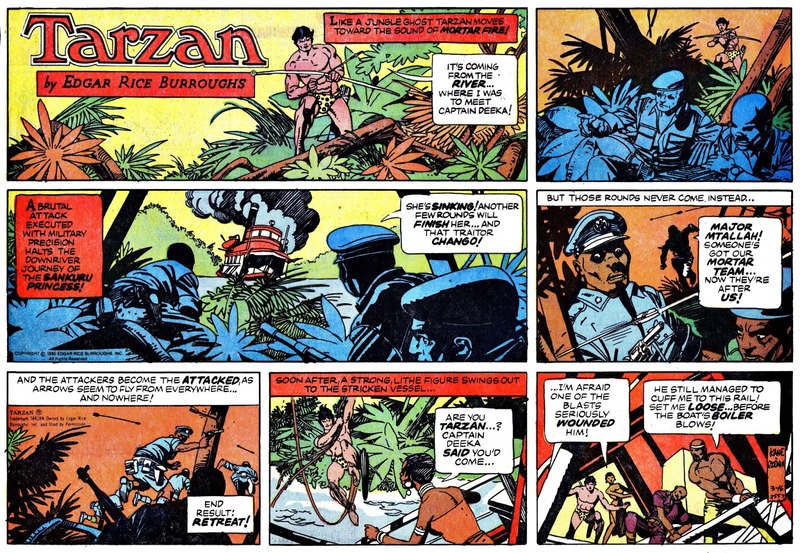 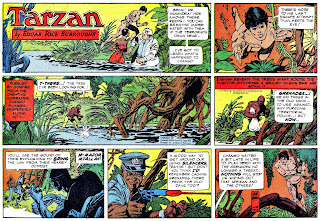 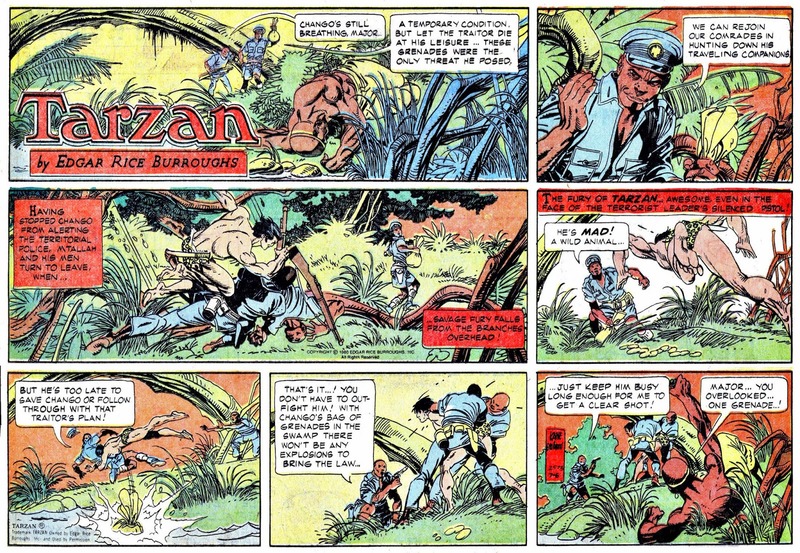 And here's my favourite of the Archie Goodwin / Gil Kane sunday Tarzan serials, as he leads a disparate group of malcontents through hostile territory, all of whom refuse to work together, with the bad guys in hot pursuit. 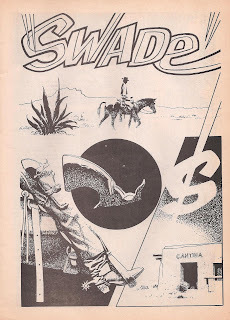 Absolute pulp adventure heaven.